During the beautiful month of October, we usually try to squeeze in at least one romantic trip for two before it gets cold and rainy and we are busy with holiday preparations and events. 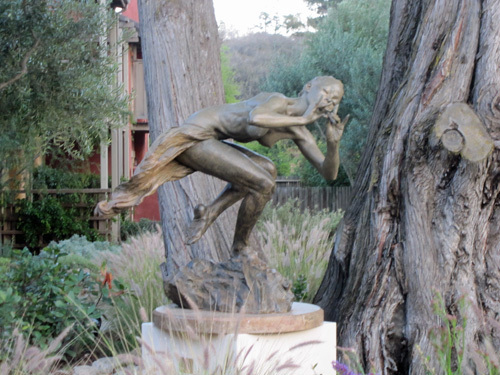 This year, we chose to visit the lovely and very relaxing Bernardus Lodge in Carmel Valley, California. This is a very special place as it has a magical combination of fine wine, good food, beauty, and comfort. The grounds at Bernardus are well manicured and styled with rustic flowers like lavender, cosmos, geraniums, etc. Large Mediterranean olive trees and classic white roses offer an element of European charm to the gardens. 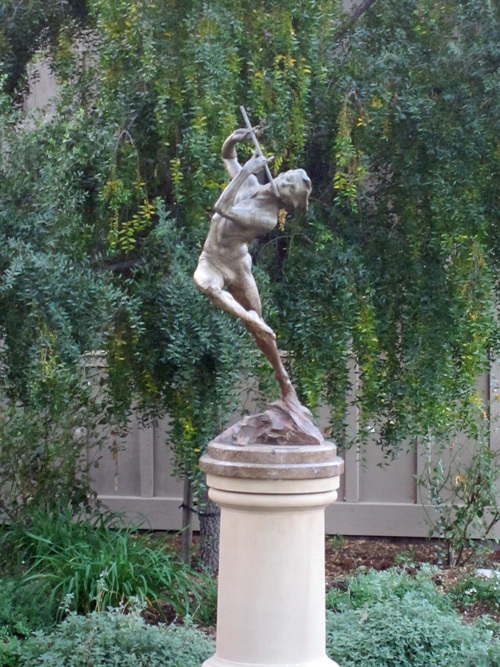 The delightful sculptures shown below of flutists whirling into dancer-like postures among the trees provide aesthetic interest. 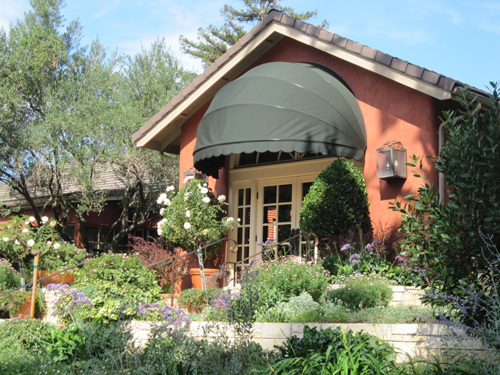 The interior of Bernardus is equally elegant with a large bowl of mixed flowers greeting guests upon arrival. One enters the light-filled reception area decorated with French accents, to be welcomed by the staff with a glass of wine and a tour through the property. 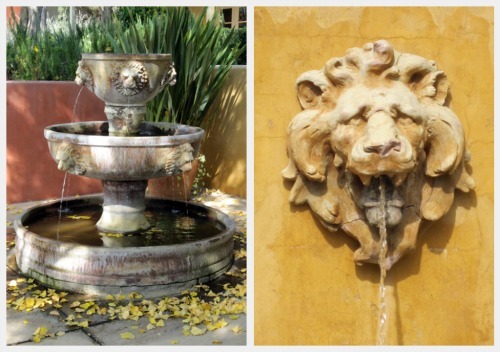 Garden fountains featuring striking Tuscan lions caught my eye as we explored the premises. A lovely pool, full-service spa, and two restaurants are found on site at Bernardus. Marinus is noted for its award-winning cuisine and Wickets for its equally delicious food and casual dining atmosphere. Both restaurants feature creations by celebrated chef Cal Stamenov. 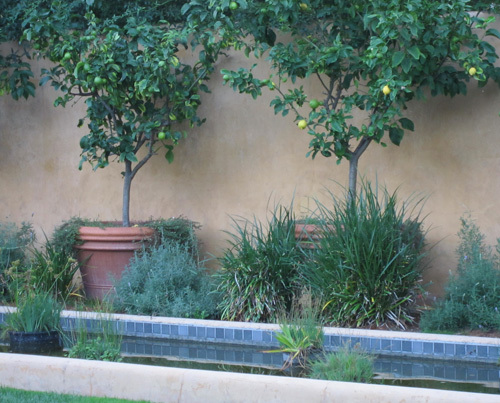 The tradition of culinary gardening is also alive and well in Carmel Valley where a mild climate makes it possible to grow herbs and vegetables. At Bernardus, a well-kept garden of produce near Marinus restaurant enhanced the fresh, high quality taste of the food we so enjoyed on our stay.